Challenge family or friends to a game of mini golf! In the new MIGO indoor leisure centre you don't need to worry about the weather and don't need to bring any equipment. On 14 courses and in groups of maximum 5 players, fun is almost predestined. 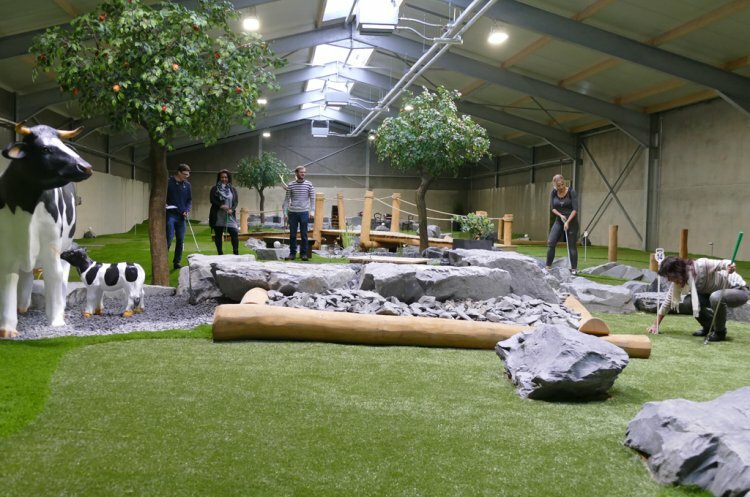 Thanks to the artificial turf ground, the playing experience is very similar to that of real mini golf.